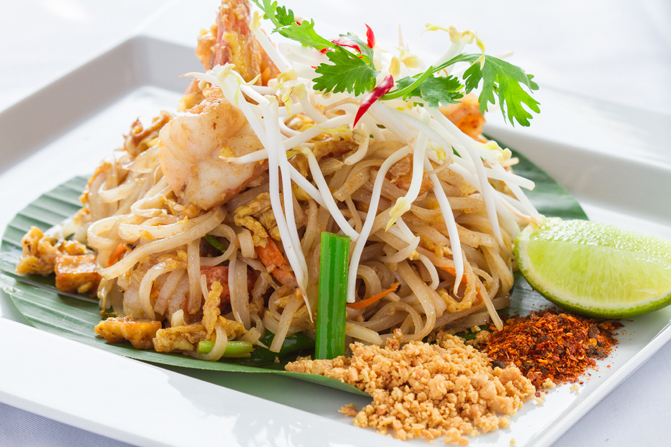 When the subject of tasty and healthy Thai cuisine is discussed, the name ‘Pad Thai’ rings a bell in our minds. It is the signature dish of Thai cooking. Pad Thai is undoubtedly a dish that completes the meal for all Thai foodies. Without thinking twice, we can say that the delicious stir-fried noodles dish comes with many advantages; it is highly addictive. The cooking method is uniquely Chinese, even though it’s a very popular Thai menu item. Origins and cooking style to the side, the textures and flavors of what we have come to know and love about Pad are completely mouth-watering. Do you know Kway teow pad Thai is the accurate and full name of this dish and it is not native to Thailand? Kway teow in Chinese language means rice noodles and it is said that Chinese settlers who came to the country from southern China brought a previous edition to Thailand. The dish, grabbed extreme limelight in the 1930s, when the prime minister of Thailand made a decision to promote this sumptuous dish on a national level. Thai government also wanted to decrease domestic consumption of rice; having rice as their major exported product. In order to increase the popularity of this dish, the Thai government proffered different tasty recipes and motivated people to make use of wheeled carts to sell this cuisine in every nook and corner. Due to this, Pad Thai became an economical, convenient and healthy meal in the 1940s. During these years, the average cost to cook a Pad Thai for a small family was barely 0.18 cents, according to the Thai government. You can relish great Pad Thai at any good Thai restaurant and that too without shelling out a heavy amount. 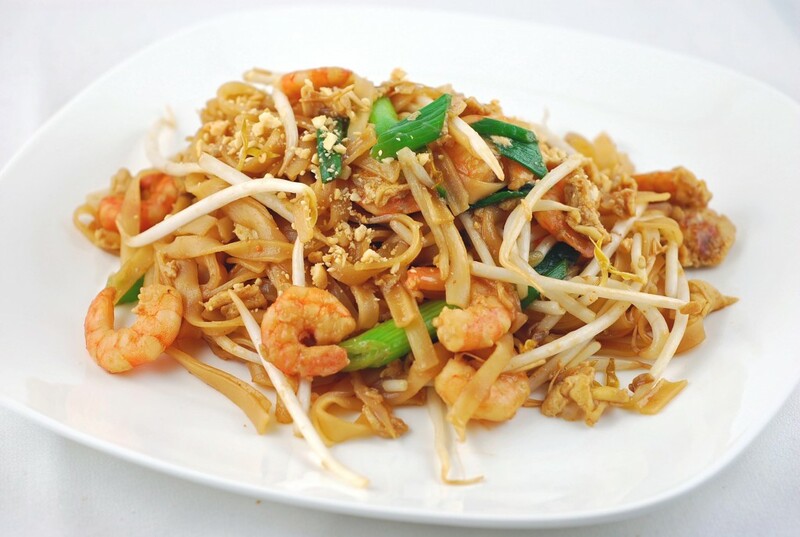 If you’re thinking to try this dish, order Pad Thai with a blend of several flavors like tangy and a tad sweet. How to Make the Perfect Pad Thai? Are you proficient enough in cooking delicious Pad Thai at your home or do you prefer enjoying it at a good Thai eating point? From picking the right type of noodles to the necessary garnishes, this dish is a fiddly one to master. Pad Thai or Phat Thai is a worldwide representative for the glories of Thai cuisine. These healthy and blended noodles are one of the best forms of noodles. Authentic Pad Thai is a little lighter and drier than the Pad Thai usually served in big restaurants. However the main items remain the same in most of types. To modify Pad Thai to gel with your personal taste, you can experiment with the right proportion of sugar, fish sauce and tamarind to balance the sour, tangy and sweet elements of the dish. The crushed red pepper and garlic add a peppery note that can be played down according to your taste. The perfect balance of ingredients in Pad Thai persuades you to have beyond your appetite. However, what are those items which you will require to make your recipe successful…. In a triumphant recipe, you will find the right balance of sweet, sour and salty; depending on your taste buds. Let’s start with red chillies which are added to taste, ranging from scorching hot to hardly noticeable. In terms of texture, you can add tofu, shrimp or noodles for a chewy and soft taste whereas for crunchy & crusty flavor, add roasted peanuts, sprouts or baked beans. In Thailand, local items like banana blossoms, star fruit or raw mango are used; they add a bit of crunchiness and sour taste. Moreover, it is said that you can enjoy perfect Pad Thai cuisines on side alleyways, tucked away corners and on hidden streets in Bangkok. Here you need to be cautious of those cooks who do not pay heed to equilibrium, who take no notice of important Thai ingredients and break all the rules of Pad Thai cooking in total. Please note that this recipe is suitable for 4-5 people only. To start with, you need to buy flattish rice of noodles for your recipe. There are some differences in these noodles and the prime difference is in the thickness. A few Pad Thai methods suggest noodles with more width whereas others require the use of medium sized noodles. Take a pan and pour some water in it (3-4 cups are sufficient). Heat this water and place noodles in the pan. Now let these noodles to soak in the water for approximately 10 minutes. After 10 minutes, take out the noodles and check the texture. Keep in mind that the noodles shouldn’t be too hard or too soft. When the noodles have softened satisfactorily, drain the extra water and keep the noodles aside. The right method for cooking the noodles is to spread and flip them with the help of a spatula. One more thing, if you want to add shrimp, do not overcook the noodles. 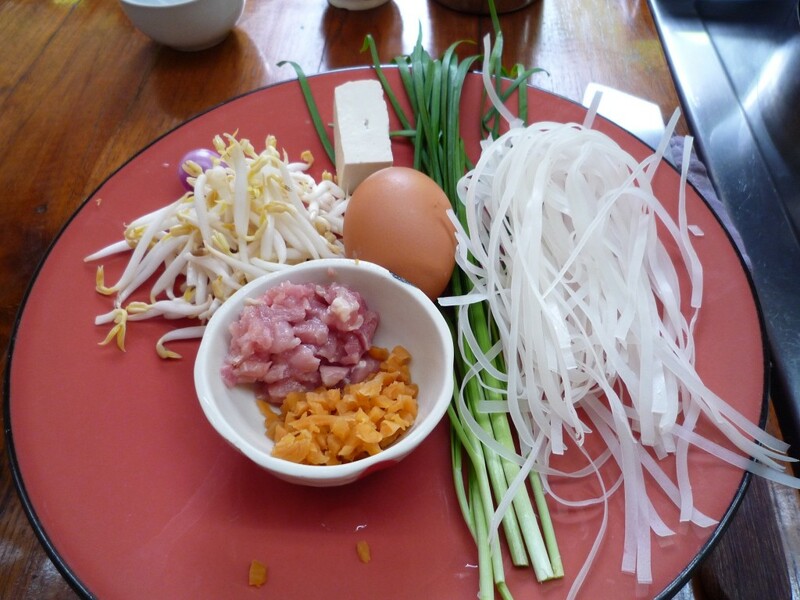 The second step begins with the remaing Pad Thai ingredients. For frying, you are required to use a large pan. You will have to work carefully and blend all the mentioned items. Use a large pan as this will make stirring easier. Now pour the oil in the pan and start heating it until it becomes very hot. Then, add sliced beef, chopped chillies and chopped garlic in the pan. Keep stirring all the ingredients for approximately 2 minutes. Now add the prawns to the pan and let them cook for 3-4 minutes. Keep stirring all the items in the frying pan continuously. Your dish has almost reached the central phase. You still have the drained noodles and garlic chives to work with. At this stage, you need to add the drained noodles and garlic chives into the pan. Allow all the items to cook for 1-2 minutes ahead of jumping onto the next stage of cooking. This is the time to add sugar, lime juice and fish sauce to the pan. You need to blend all these items in a separate small pan. Heat lightly to dissolve the brown sugar and taste – You can add more quantity of these ingredients as per your wish. These ingredients are responsible to add tangy and sweet flavors to your Pad Thai recipe. After this, mix beaten eggs and toss the ingredients continuously. For better mixing, you can use two wooden spoons to stir the ingredients. Afterwards, turn off the heat. Your Pad Thai is now ready to tantalize your taste buds. Take out the noodles on a plate and sprinkle coriander leaves, bean sprouts and chopped peanuts on the top. Conventionally, Pad Thai is savored with crispy fried onions and chopped peanuts. If you want a bit of a sour flavor, squeeze a few drops of lemon juice on the top, once the Pad Thai is plated. Oil in fried Pad Thai Noodles: If you’ve tried preparing this recipe or any other recipe that demands noodles to be deep-fried, you could use this tip. The oil can be slowly poured in the cooking procedure rather than being added in a single go. The above mentioned recipe uses a balanced quantity of oil. We have recommended 2 tbsp of cooking oil for four servings. 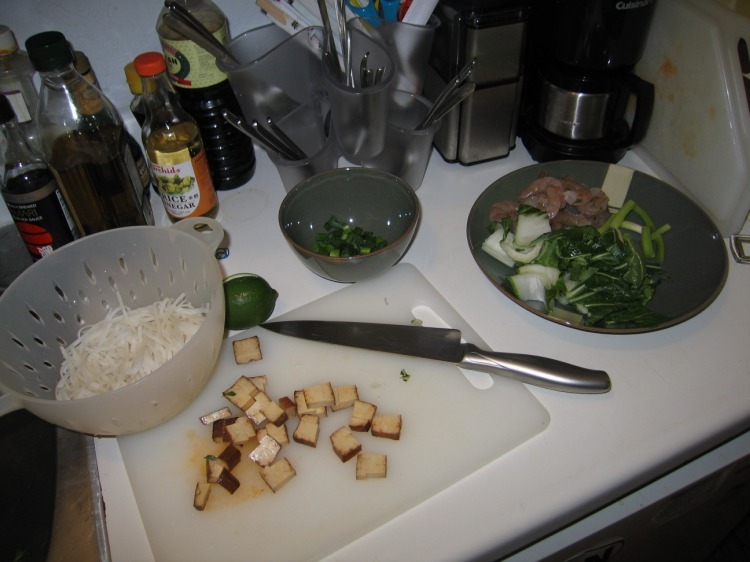 Interesting Options: Want to make some exciting changes in your Pad Thai recipe? Take one big size capsicum and two carrots. Now cut carrots into cubical shape and capsicum into strip form. If you don’t like eating bean sprouts, soak them in hot water for around 30-40 seconds. Then drain out the sprouts and mix them to your Pad Thai dish. This will certainly cut down the level of crunchiness, but without losing the taste. When serving freshly cooked Pad Thai, don’t forget to sprinkle crushed peanuts. Also add green onions and a few small slices of lemon. For a scorching hot taste, shake over chilli powder! It’s a long piece of writing, but maybe the last thing you’ll ever need to read about delicious Pad Thai. Thus, go on, fling off your own Pad Thai party and get loads of admiring comments from your friends and family!